I was in Manhattan when 9/11 happened and I will never forget the aftermath that ensued after this evil act of AL Qaeda terrorism. To say that the country as a whole was enraged at the attack on the American people is putting it mildly. President Bush vowed to get the mastermind at whatever cost. It was a defining moment of victory for the democratic world when Osama Bin Laden was captured and killed. 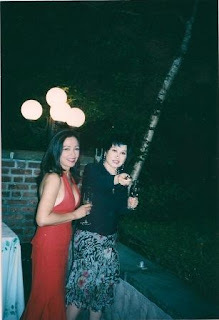 I arrived in Manhattan on September 10 and was a house guest of my BFF, China’s celebrity Yue Sai Kan, in her posh Sutton Square townhouse. During the morning of September 11, I excitedly called up some friends as early as 9am to see them for lunch. I was on the phone with my friend Lily when Yue Sai barged into the guest room that she usually assigns to me (my favorite red room) and said, with urgency “turn on your TV. Something is happening that will radically change the world and the course of history!” As soon as I turned on the TV, the second plane was invading the 2nd WT tower. It was a scene for the movies but was happening in real life. Unless you see the footages, one can’t imagine a humongous aircraft going through the tallest building in Manhattan. It was undoubtedly a premeditated act of brutality, insanity and fanaticism on the part of the terrorist hijackers who allowed themselves to be used as sacrificial lambs for the senseless cause their leaders were fighting for. For many days after, Yue Sai and I spent countless hours watching the events unravel on television, huddled in her bed, un-bashfully crying our hearts out as more and more families of victims told poignant stories of their loss…the heroism of the NYFD firefighters and other volunteers, some of whom also lost their lives, was extraordinarily moving. The city’s grief was palpable, one could literally breathe the sadness in the air. That day of 9/11, we remembered our friend Miriam Jaranillo who worked as a paralegal near the WTT. Yue Sai kept calling her office and her cell phone but there was no reply. We were really worried for her and prayed for her safety. In the early afternoon, Yue Sai finally got through her and invited her to go straight to Sutton Square for a meal. The poor lady managed to get a ride up to a certain point after which everything was blocked. She had to walk for hours to get to Sutton Square and when she finally appeared, she looked like she came from a war zone. She was dust encrusted, her face, her hair, her lashes were filled with debris of sorts. There were wires on her hair, ashes and cement dust on her face and lashes, and other toxic chemicals clung to her skin and clothes. My friends and I went to Ground Zero a few nights to join the vigil and light candles for the almost 3000 innocent lives that were killed. Smoke from the rubble filled the air for days on end and wafted all the way to uptown Manhattan. Nearby Ground Zero the air had the stench of death bodies. dead or alive were unearthed. Reports say that there were some bodies that were not retrieved and remained buried for good. How devastating for the victims’ families. As I watched the commemoration of 9/11’s 10th anniversary, I had tears in my eyes listening to the victims families pay homage to their loved ones. The memory of that day is firmly etched in my mind. A few months later, I did a canvas in abstract art- my interpretation of that tragic day. Debris and smoke, fills my canvas in bland color, signifying the broken spirits and sadness of the city. I did another canvas after the first one with the help of an artist friend, Marivic Rivera, who agreed with me that we should do it with an implosion of colors: red background to signify the blood that was shed, blue for the heroism of the firefighters and the many other volunteers who helped the victims, white for purity of spirit, grey for the ashes in the air, black for the evil men that did this hideous act of terrorism and yellow for hope of a bright future for the families of the victims. Yue Sai Kan and I enjoyed a drink of champagne in her patio on the evening of my arrival in Manhattan, Sept 10, 2001. Little did we suspect that the next day's tragic event would change the USA and the rest of the world. A second plane, a United Airlines plane Flight 175 from Boston was hijacked by Al Qaeda terrorists and imploded the South Tower of the World Trade Center at 9:03 AM. The North Tower was hit sometime at 8:50AM. A brave volunteer walks through the rubble listening for screams of buried victims so he could pull them out.